Kanthal wire is a ferritic iron, chromium-aluminium alloy and is used to build Rebuildable Atomizers (RBA’s) and Rebuildable Dripping Atomizers (RDA’s) for Mechanical Mods (Mech Mods). Kanthal Wire can be heated at temperatures up to 1400°C (2550°F). 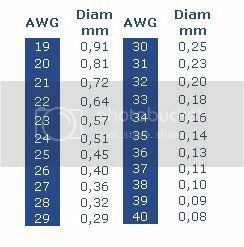 The actual type of wire size is identified by Gauge (AWG). Kanthal Wire can be used in many different sizes and on many different types of Rebuildable Atomizers. High-quality Kanthal A1 resistance wire.